As I was thumbing through some holiday magazines, I spotted a FUN idea that I knew would make great hostess gifts this Christmas season - making reindeer from a six-pack of bottles. I didn't recognize the drinks that were used in the small sample photo, but I knew immediately I could use this idea with Coca-Cola. 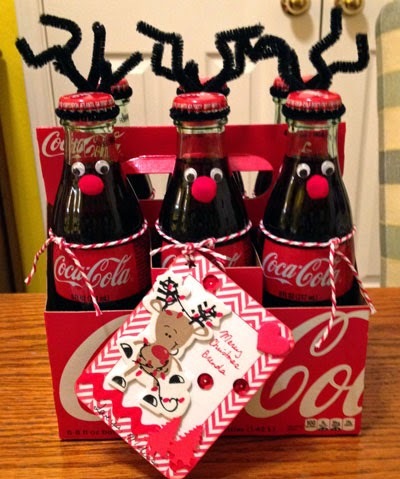 Simply adding pipe cleaner antlers, googly eyes, pom-pom noses, and twine scarves turned this six-pack of Coca-Cola into a great gift for my sister, who made cinnamon rolls, yummy chocolate/pumpkin muffins, and a delicious pulled chicken sandwich dinner for me during my recent visit. I added a handmade gift tag that included a FUN foam reindeer sticker. I used the same idea as a hostess gift for Ellyn, who drinks Diet Coke and hosts Crafty Tuesday at her home each month. 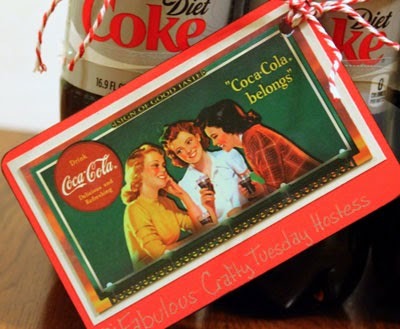 I had a Coca-Cola trading card in my stash that I used for the handmade tag. 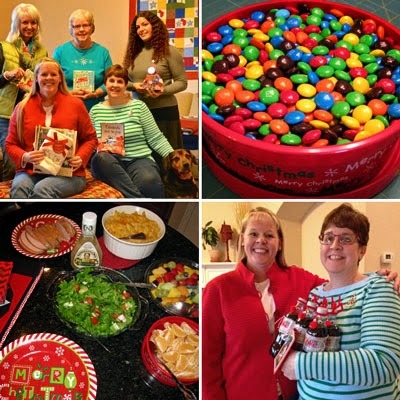 This month's meeting included a gift exchange, a yummy meal, and chocolate (of course!). 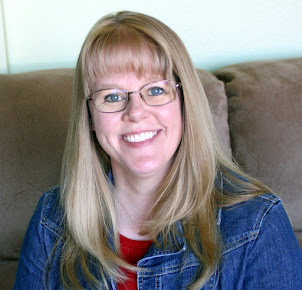 Thanks Ellyn for hosting us each month! What do you typically give as a hostess gift? I've made rein-beers several times to give as gifts. Punny joke gifts are often my favourite thing after all. 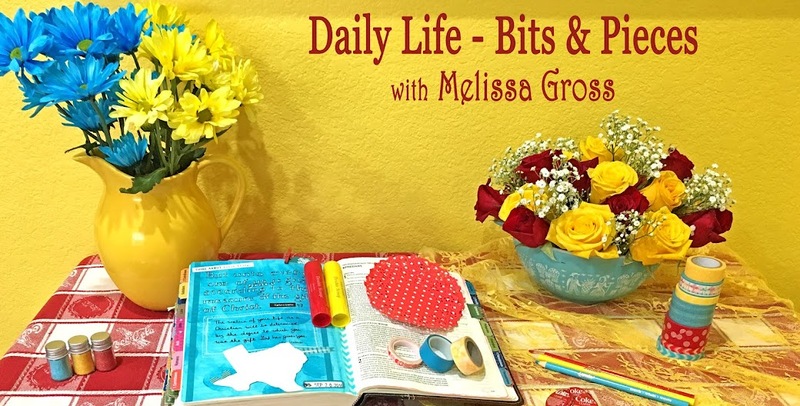 I like to give flowers or food unless I know the person really well - do hate giving clutter! The reindeer Cokes are so cute! They would make a cute hostess gift that can double as a decoration! 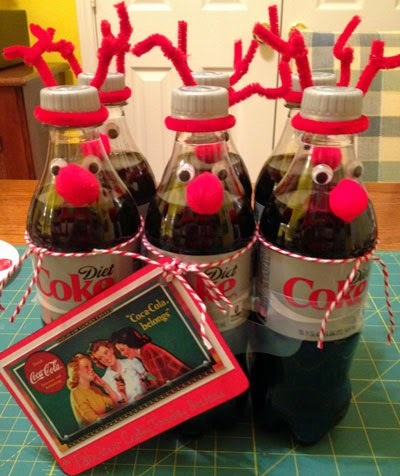 Those Coke bottle reindeer are fabulous! I usually take the hostess a bunch of flowers. I kind of feel guilty drinking my poor reindeer! I love them Melissa! Those reindeer are really cute!